Read About Michael G. Wadzinski, M.D. Dr. John Shepherd is a Board-Certified ophthalmologist and specializes in low vision rehabilitation. He received his medical degree from St. Louis University and completed his ophthalmology residency training at the University of Chicago Hospitals. He practiced comprehensive ophthalmology from 1994 – 2005 in southern Minnesota. After experiencing personal health issues, he developed a great concern for low vision patients and pursued a fellowship in the field in 2006. 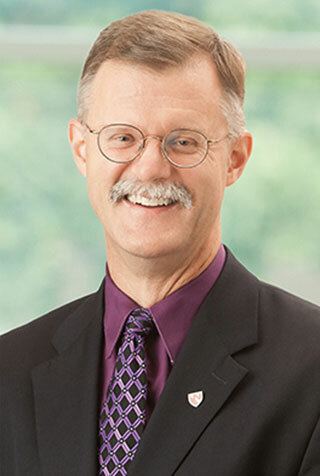 He now serves as Director of the Weigel Williamson Center for Visual Rehabilitation and Assistant Professor of the Department of Ophthalmology at the Truhlsen Eye Institute at the University of Nebraska Medical Center. He has developed rehabilitation plans for over 3000 low vision patients and speaks nationally on low vision rehabilitation topics, including depression related to irreversible vision loss. Originally from southern California, Dr. Shepherd has lived in Omaha, Nebraska since 2007. He is a member of the American Academy of Ophthalmology, Nebraska Association of Eye Physicians and Surgeons, and the Association for Education and Rehabilitation of the Blind and Visually Impaired. He has served for several years on the Vision Rehabilitation Committee of the American Academy of Ophthalmology. Dr. Shepherd and his wife Mary Anne have seven children. He enjoys church activities and spending time with his family.